We all want to be the best parents we can be for our children, but there is often conflicting advice on how to raise a kid who is confident, kind and successful. 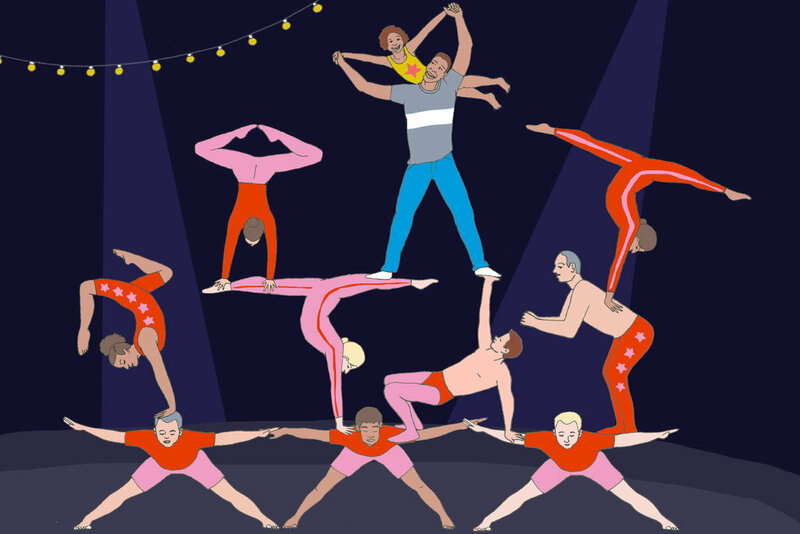 Throughout the circus act of parenting, it’s important to focus on balancing priorities, juggling responsibilities and quickly flipping between the needs of your children, other family members and yourself. Modern parents have the entire internet at their disposal and don’t follow any single authority. It’s hard to know whom or what to trust. Here, we’ll talk about how to help your child grow up to be a person you really like without losing yourself in the process. Good news: There is no one right way to raise a child. Research tells us that to raise a self-reliant child with high self-esteem, it is more effective to be authoritative than authoritarian. You want your child to listen, respect and trust you rather than fear you. 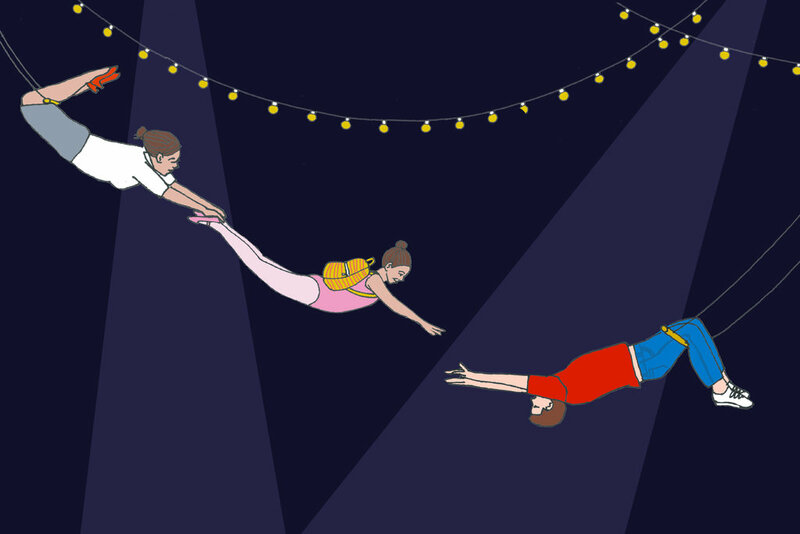 You want to be supportive, but not a hovering, helicopter parent. All of these things are easy to set as goals, but hard to achieve. How do you find the right balance? As your child develops, the challenges will change, and your thinking may evolve, but your approach should be consistent, firm and loving. Help your child learn through experience that making an effort builds confidence and helps you learn to tackle challenges. Calibrate your expectations about what your child is capable of doing independently, whether you have an infant learning to sleep through the night, a toddler helping to put toys away, or an older child resolving conflicts. Remember, there is no one right way to raise a child. Do your best, trust yourself and enjoy the company of the small person in your life. Originality is difficult to encourage but easy to thwart. Protecting your children from the consequences of every failure is the biggest parental failure of all. Your healthy attitude toward sleep, food and discipline will affect your children in the most important ways. 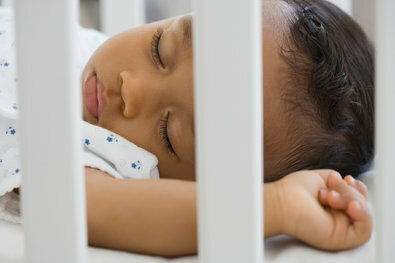 Right from the beginning, babies vary tremendously in their sleep patterns. And parents, too, vary in terms of how they cope with interrupted nights. 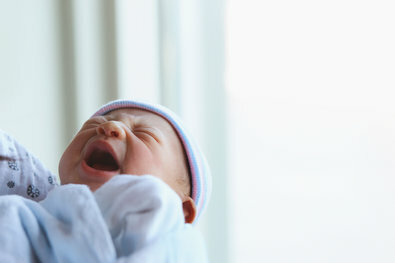 There are two general schools of thought around babies and sleep after those early months when they need nighttime feedings — soothe the baby to sleep or don’t — and many parents find themselves wavering back and forth. Those who believe in sleep training, including many sleep experts, would argue that in helping babies learn to fall asleep by themselves and soothe themselves back to sleep when they wake during the night, parents are helping them master vital skills for comfort and independence. Graduated extinction, in which babies are allowed to cry for short, prescribed intervals over the course of several nights. Bedtime fading, in which parents delay bedtime in 15-minute increments so the child becomes more and more tired. And many parents report that these strategies improve their children’s sleep patterns, as well as their own. But there are also parents who find the idea of letting a baby cry at night unduly harsh. Whatever you try, remember, some babies, no matter what you do, are not reliably good sleepers. Parents need to be aware of what sleep deprivation may be doing to them, to their level of functioning, and to their relationships, and take their own sleep needs seriously as well. So, ask for help when you need it, from your pediatrician or a trusted friend or family member. 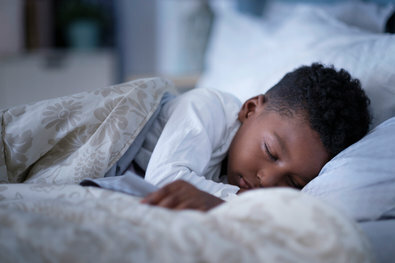 For older children, the rules around sleep are clearer: Turn off devices, read aloud at bedtime, and build rituals that help small children wind down and fall asleep.Establishing regular bedtime routines and consistent sleep patterns will be even more important as children grow older and are expected to be awake and alert during school hours; getting enough sleep on a regular basis and coming to school well-rested will help grade-school children’s academic performance and their social behavior as well. Keeping screens out of the bedroom (and turned off during the hours before bed) becomes more and more important as children grow — and it’s not a bad habit for adults, either. As your child hits adolescence, her body clock will shift so that she is “programmed” to stay up later and sleep later, often just as schools are demanding early starts. 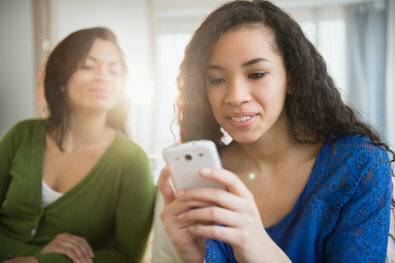 Again, good family “sleep hygiene,” especially around screens at bedtime, in the bedroom, and even in the bed, can help teenagers disconnect and get the sleep they need. By taking sleep seriously, as a vital component of health and happiness, parents are sending an important message to children at every age. Sleep deprivation is linked to behavioral and mental health problems and car accident risk, experts say, and starting school later could help. Which Came First? 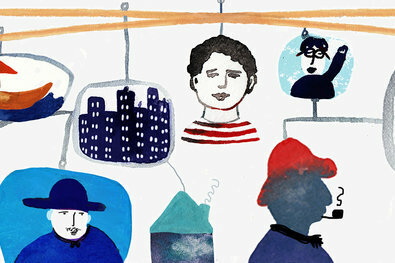 The Behavior Problems, or the Poor Sleep? Problem behaviors and lack of sleep can create a whirlpool that drags a child down developmentally. As we ask children to function in school, academically and socially, fatigue can affect their achievement and behavior. There’s nothing more basic to parenting than the act of feeding your child. But even while breast-feeding, there are decisions to be made. (Yes, breast-feeding mothers should eat spicy food if they like it. No, they shouldn’t respond to all infant distress by nursing.) Pediatricians currently recommend exclusive breast-feeding for the first six months, and then continuing to breast-feed as you introduce a range of solid foods. Breast-feeding mothers deserve support and consideration in society in general and in the workplace in particular, and they don’t always get it. And conversely, mothers are sometimes made to feel inadequate if breast-feeding is difficult, or if they can’t live up to those recommendations. You have to do what works for you and your family, and if exclusive breast-feeding doesn’t, any amount that you can do is good for your baby. As children grow, the choices and decisions multiply; that first year of eating solid foods, from 6 to 18 months, can actually be a great time to give children a range of foods to taste and try, and by offering repeated tastes, you may find that children expand their ranges. Small children vary tremendously in how they eat; some are voracious and omnivorous, and others are highly picky and can be very difficult to feed. Let her feed herself as soon as and as much as possible; by “playing” with her food she’ll learn about texture, taste and independence. Build in the social aspects of eating from the beginning, so that children grow up thinking of food in the context of family time, and watching other family members eat a variety of healthy foods, while talking and spending time together. (Children should not be eating while looking at screens.) Parents worry about picky eaters, and of course about children who eat too much and gain weight too fast; you want to help your child eat a variety of real foods, rather than processed snacks, to eat at mealtimes and snacktimes, rather than constant “grazing,” or “sipping,” and to eat to satisfy hunger, rather than experiencing food as either a reward or a punishment. Don’t cook special meals for a picky child, but don’t make a regular battlefield out of mealtime. Talk with small children about “eating the rainbow,” and getting lots of different colors onto their plates (orange squash, red peppers, yellow corn, green anything, and so on). Take them to the grocery store or the farmer’s market and let them pick out something new they’d like to try. Let them help prepare food. Be open to deploying the foods they enjoy in new ways (peanut butter on almost anything, tomato sauce on spinach). Some children will eat almost anything if it’s in a dumpling, or on top of pasta. Offer tastes of what everyone else is eating. Above all, encourage your child to keep tasting; don’t rule anything out after just a couple of tries. And if you do have a child who loves one particular green vegetable, it’s fine to have that one turn up over and over again. Bottom line: As long as a child is growing, don’t agonize too much. Family meals matter to older children as well, even as they experience the biological shifts of adolescent growth. Keep that social context for food as much as you can, even through the scheduling complexities of middle school and high school. 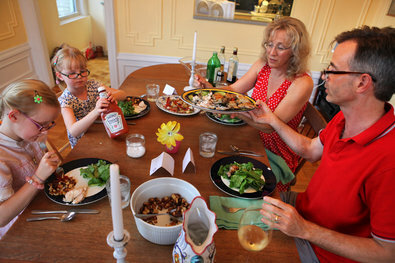 Keep the family table a no-screen zone, and keep on talking and eating together. 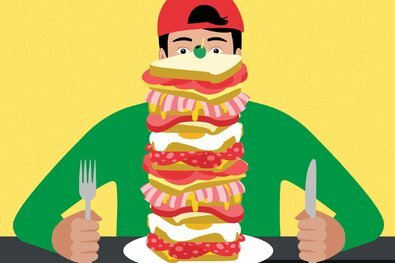 Why are young men told to eat less meat? It really means they need to eat their vegetables. We should be cheering mothers on, and acknowledging their choices. While the number of obese babies is not on the rise, some of our standard infant feeding practices and attitudes may need revising. When Do You Worry About a Picky Eater? 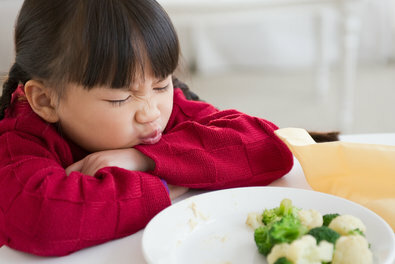 Many children become picky around the age of 2, so it’s important to expose younger children to many foods, many times. Small children are essentially uncivilized, and part of the job of parenting inevitably involves a certain amount of correctional work. With toddlers, you need to be patient and consistent, which is another way of saying you will need to express and enforce the same rules over and over and over again. 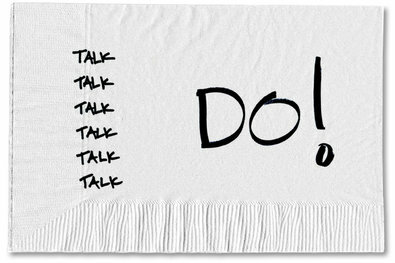 “Time outs” work very effectively with some children, and parents should watch for those moments when they (the parents) may need them as well. Seriously, take a breather when you are feeling as out of control as your child is acting. Distraction is another good technique; you don’t have to win a moral victory every time a small child misbehaves if you can redirect the behavior and avoid the battle. The overall disciplinary message to young children is the message that you don’t like the behavior, but you do love the child. 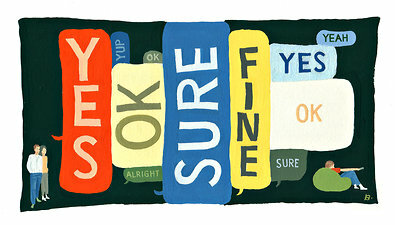 It is O.K. to dislike your brother or your classmate, but not to hit him. It is O.K. to feel angry or frustrated, as long as you behave properly. Our “civilizing” job as parents may be easier, in fact, if we acknowledge the strength of those difficult emotions, and celebrate the child who achieves control. And take advantage of the opportunity to demonstrate what you do when you have lost control or behaved badly: Offer a sincere parental apology. 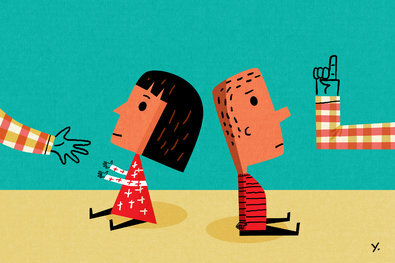 Manners are another side of the journey every child makes from helplessness to autonomy. In a study, children who were spanked were more likely to show disruptive, aggressive behaviors later on — and to be spanked more in the future. Parents worry that they aren’t doing their job and that the next generation is consequently in grave danger. Is Snooping on Teenagers Ever O.K.? New research questions the use of spying and suggests better approaches for worried parents. You can take steps to help your children manage both bullying and conflict – and you’re at your most useful when you know which of the two you’re trying to address. Children who are being bullied are on the receiving end of mistreatment, and are helpless to defend themselves, whereas children in conflict are having a hard time getting along. Fortunately, most of the friction that happens among children is in the realm of conflict —an inevitable, if unpleasant, consequence of being with others — not bullying. If children are being bullied, it’s important to reassure them that they deserve support, and that they should alert an adult to what’s happening. Further, you can remind your children that they cannot passively stand by if another child is being bullied. Regardless of how your own child might feel about the one being targeted, you can set the expectation that he or she will do at least one of three things: confront the bully, keep company with the victim, alert an adult. When the issue is conflict, you should aim to help young people handle it well by learning to stand up for themselves without stepping on anyone else. To do this, you can model assertion, not aggression, in the inevitable disagreements that arise in family life, and coach your children to do the same as they learn how to address garden-variety disputes with their peers. For children, gender is an evolving concept, and not one that they always see through the same lens as adults. Three-year-olds are able to label themselves as boys or girls, yet most boys this age believe that they can grow up to be moms if they want to, and vice versa for little girls. By ages 4 or 5, children come to view gender as a fixed trait. This is often when they develop princess or superhero obsessions, perhaps dabbling in extreme femininity or masculinity to compensate for their sense of losing half of the gender pie. Left to their own devices, most children move away from rigid gender views before adolescence. All the same, girls generally enjoy more leeway than boys when it comes to gender identity. 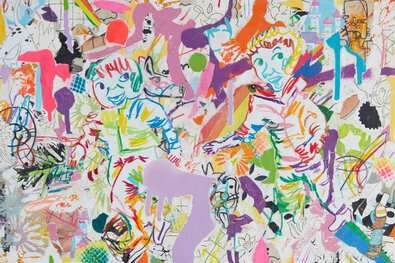 Tomboys are cool, while boys often vigilantly police one another for behavior they perceive to be feminine. As a parent, you want to help your child feel good about being a girl or a boy, and to define what that will mean for him or herself. This can involve helping them question highly stereotyped and heavily marketed media representations of gender. And we want to remember that gender identity operates independently of sexual orientation. 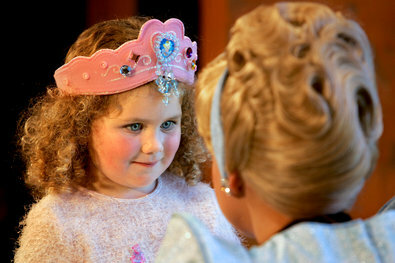 Who our children feel themselves to be doesn’t tell us whom they will love. 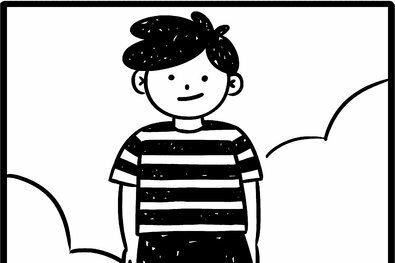 Stereotypically macho messages limit children’s understanding of what it means to be a man and a boy. We raise our girls to fight stereotypes and pursue their dreams, but we don’t do the same for our boys. Girls Aren’t Meaner Than Boys. It Only Looks That Way. There aren’t many gender differences in meanness. Higher princess involvement (through toys and media consumption) was associated with higher levels of so-called “female” behavior. All parents have in common the wish to raise children who are good people. You surely care about how your child will treat others, and how he or she will act in the world. In some households, regular participation in a religious institution sets aside time for the family to reflect on its values and lets parents convey to their children that those beliefs are held by members of a broad community that extends beyond their home. Even in the absence of strong spiritual beliefs, the celebration of religious holidays can act as a key thread in the fabric of family life. Though it is universally true that children benefit when their parents provide both structure and warmth, even the most diligent parents can struggle to achieve both of these on a regular basis. The rituals and traditions that are part of many religious traditions can bring families together in reliable and memorable ways. Of course, there are everyday opportunities to instill your values in your child outside of organized religion, including helping an elderly neighbor or taking your children with you to volunteer for causes that are important to you. Above all, however, children learn your values by watching how you live. Studies indicate that children learn resilience when they hear what their relatives before them have faced. 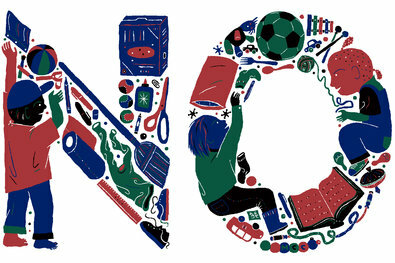 To raise better kids, say no. A couple learns to align their spending with what is important to them. When it comes to school, parents walk a difficult line: You want your children to strive and succeed, but you don’t want to push them in ways that are unfair, or cause needless stress. At every age and skill level, children benefit when parents help them focus on improving their abilities, rather than on proving them. In other words, children should understand that their intellectual endowment only gets them started, and that their capabilities can be increased with effort. Children who adopt this growth mindset – the psychological terminology for the belief that industry is the path to mastery – are less stressed than peers who believe their capacities are fixed, and outperform them academically. 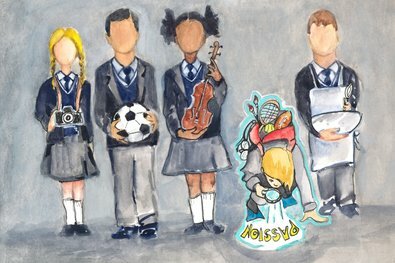 Students with a growth mindset welcome feedback, are motivated by difficult work, and are inspired by the achievements of their talented classmates. Parents should step in when students face academic challenges that cause constant or undue stress. Some students hold themselves, or are held by adults, to unrealistic standards. Others missed a step along the way, study ineffectively or are grappling with an undiagnosed learning difference. Determining the nature of the problem will point the way to the most helpful solution. The fake passions that children adopt drive out real opportunities. 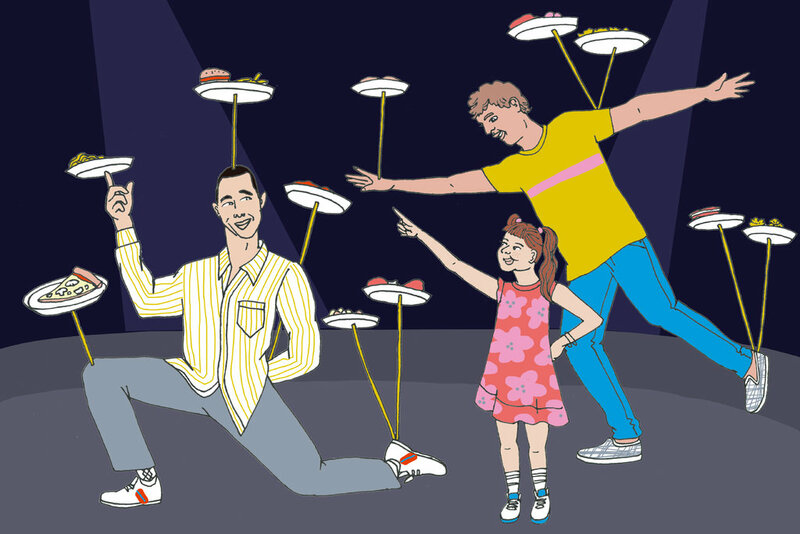 Regular meals serve as an easily measured proxy for authoritative parenting. I don’t think of myself as busy. I’m where I need to be, doing what I want to do. Here’s how to raise a child with a healthy attitude toward shiny screens and flashing buttons. You could try to raise a screen-free child, but let’s be honest, you’re reading this on a screen. As in everything else, the challenge is in balancing the ideal and the real in a way that’s right for your family. Start by thinking about positive screen-related experiences you want to help build into your children’s lives: watching a movie as a family, reading a book on an iPad, FaceTiming with out-of-town relatives. Technology plays such an important role in children’s lives now that when we talk about it, we’re talking about everything from sleep to study to social life. Phones and social media give older kids opportunities to reckon with responsibilities they haven’t had before, such as being sent, or asked to share, an inappropriate image, said Ana Homayoun, author of the book “Social Media Wellness: Helping Teens and Tweens Thrive in an Unbalanced Digital World.” Parents need to keep talking about this side of life with their children so they don’t leave their kids to navigate it alone. And then there’s the question of protecting family time. Mr. Steinberg advises setting household rules that govern when devices may be used, and have clear, age-appropriate policies so kids know what they can and can’t do. 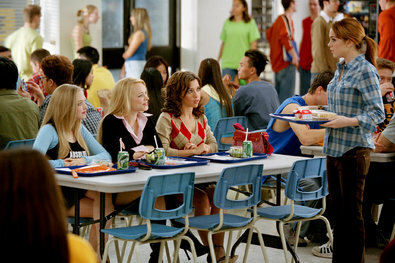 No phones at the dinner table. No screens for an hour before bedtime. It’s important to practice what you preach. And in addition to taking time for family meals and family conversations, parents should be taking the time to sit down with young children and look at what they’re doing online, rather than leaving them alone with their devices as babysitters. 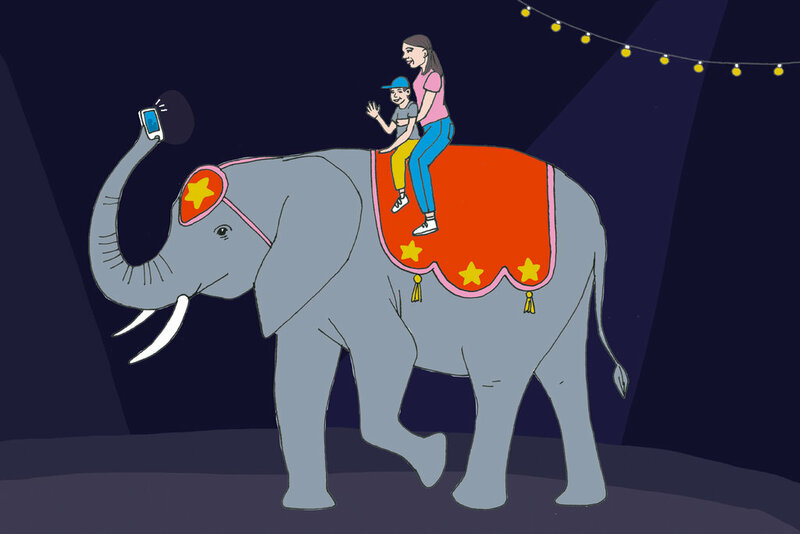 When a parent wants to post on social media about something a child did that may embarrass the child, Ms. Homayoun said, it’s worth stepping back to consider why. Are you posting it to draw attention to yourself? You should respect your child’s privacy as much as you respect the privacy of friends, family members and colleagues. As cute as it may seem to post pictures of a naked toddler, consider a “no butts” policy. That may not be the image that your child wants to portray 15 years from now. “We need to, from a very early age, teach kids what consent looks like,” Ms. Homayoun said. “It doesn’t begin when a kid is 15, 16 or 17. It begins when a kid is 3 and he doesn’t want to go hug his uncle.” Or when he doesn’t want you to post that video of him crying over a lost toy. Our children will create digital footprints as they grow, and it will be one of our jobs to help them, guide them and get them to think about how something might look a few years down the line — you can start by respecting their privacy and applying the same standards throughout their lives. It’s easy to dismiss high-tech toys as just pricey bells and whistles, but if you choose more enriching options, you can find toys that help kids grow. For young children, though, there’s a great deal to be said for allowing them, as much as possible, to explore the nondigital versions of blocks, puzzles, fingerpaints and all the rest of the toys that offer tactile and fine motor experiences. 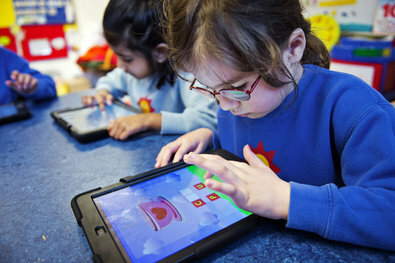 As children get older, some high-tech games encourage thinking dynamically, problem solving and creative expression. “These high tech games can be an opportunity to bond with your kids. Learn more about how they think and their interests,” Mr. Steinberg said. Some games encourage kids to be part of a team, or lead one. And others let them be wilder than they might be in real life – in ways that parents can appreciate: “You can’t always throw globs of paint around the house but you can in the digital world,” he said. THE RIGHT AGE FOR A PHONE? “Many experts would say it’s about 13, but the more practical answer is when they need one: when they’re outside your direct supervision,” Mr. Steinberg said. Ms. Homayoun recommends them for specific contexts, such as for a child who may be traveling between two houses and navigating late sports practices. 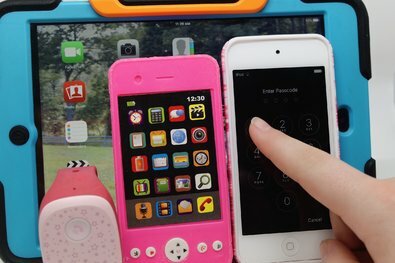 Consider giving tiered access to technology, such as starting with a flip phone, and remind children that privileges and responsibilities go hand in hand. A child’s expanding access to personal technology should depend on its appropriate use. To put these ideas into practical form, the website of the American Academy of Pediatrics offers guidelines for creating a personalized family media use plan. Apple’s leader limited his children’s screen time, and a surprising number of other technology executives do too. Are some words, ideas, stories or actions simply too much for children? Parents are relying more on talk than tools to monitor teenagers online. Balance both your schedule and your child’s with a reasonable approach to time. We all know the cliché of the overscheduled child, rushing from athletic activity to music lessons to tutoring, and there will probably be moments when you will feel like that parent, with a carload of equipment and a schedule so complicated that you wake up in the middle of the night worrying you’re going to lose track. But it’s also a joy and a pleasure to watch children discover the activities they really enjoy, and it’s one of the privileges of parenthood to cheer your children on as their skills improve. Some children really do thrive on what would be, for others, extreme overscheduling. Know your child, talk to your child, and when necessary, help your child negotiate the decisions that make it possible to keep doing the things that mean the most, even if that means letting go of some other activities. Remember, children can get a tremendous amount of pleasure, and also great value, from learning music, from playing sports, and also from participating in the array of extracurricular activities that many schools offer. However, they also need a certain amount of unscheduled time. The exact mix varies from child to child, and even from year to year. On the one hand, we need to help our children understand the importance of keeping the commitments they make — you don’t get to give up playing your instrument because you’re struggling to learn a hard piece; you don’t quit the team because you’re not one of the starters — and on the other, we need to help them decide when it’s time to change direction or just plain let something go. Your child isn’t getting enough sleep. Your child doesn’t have enough time to get schoolwork done. Your child can’t squeeze in silly time with friends, or even a little downtime to kick around with family. And make sure that high school students get a positive message about choosing the activities that they love, rather than an anxiety-producing message about choosing some perfect mix to impress college admissions officers. The point of scheduling is to help us fit in the things we need to do and also the things we love to do; overscheduling means that we’re not in shape to do either. Being a parent is the job of your life, the job of your heart, and the job that transforms you forever. But as we do it, we need to keep hold of the passions and pastimes that make us who we are, and which helped bring us to the place in our lives where we were ready to have children. We owe our children attention — and nowadays it’s probably worth reminding ourselves that paying real attention to our children means limiting our own screentime and making sure that we’re talking and reading aloud and playing. But we owe ourselves attention as well. 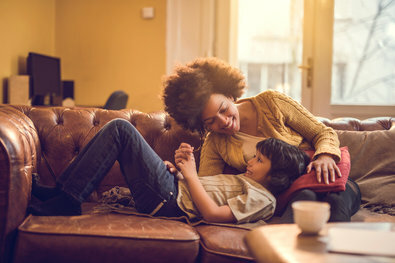 Your children will absolutely remember the time that you spent with them — but you also want them to grow up noticing the way you maintain friendships of your own, the way you put time and energy into the things that matter most to you, from your work to your physical well-being to the special interests and passions that make you the person they know. Whether you’re taking time to paint or dance, or to knit with friends, or to try to save the world, you are acting and living your values and your loves, and those are messages that you owe to your children. You may not be able to pursue any of your passions in quite the same way and to quite the same extent that you might have before you had a child. You may have to negotiate the time, hour by hour, acknowledging what is most important, and trading it, perhaps, for what is most important to your partner, if you have one. You’ll be, by definition, a different painter, as you would be a different runner, a different dancer, a different friend and a different world-saver. But you may well come to realize that the experience of taking care of a small child helps you concentrate in a stronger, almost fiercer way, when you get that precious hour to yourself. Lots of parents worry that their children get an unreasonable amount of homework, and that homework can start unreasonably young. While it may be easy to advise that homework can help a child learn time management and study habits, and to let children try themselves and sometimes fail, the reality is that many of us find ourselves supervising at least a little. You should speak up if it seems that one particular teacher isn’t following the school’s guidelines for appropriate amounts of homework. And for many children, it’s helpful to talk through the stages of big projects and important assignments, so they can get some intermediate dates on the calendar. If the homework struggle dominates your home life, it may be a sign of another issue, like a learning disability. For many families nowadays, the single biggest negotiation about time management is around screen time. This may be because screens serve so many purposes in children’s lives, so that screen time can be homework time (but is the chatting that goes on in a corner really part of the assignment?) or social time or pure entertainment time. Bottom line: As long as a child is doing decently in school, you probably shouldn’t worry too much about whether, by your standards, the homework looks like it is being done with too many distractions. And remember, some family responsibilities can help anchor a child to the nonvirtual world: a dog to be walked or trash to be taken out. And when it comes to fun, let your child see that you value the non-homework part of the evening, or the weekend, that you understand that time with friends is important, and that you want to be kept up to date on what’s going on, and to talk about your own life. Ultimately, we have to practice what we preach, from putting down our own work to enjoy unstructured family time to putting down our phones at the dinner table to engage in a family discussion. Our children are listening to what we say, and watching what we do. Perri Klass is a pediatrician in New York City and a professor of journalism and pediatrics at New York University; she writes the column “The Checkup” for the Well Family section of The New York Times. 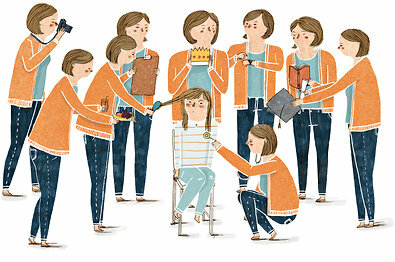 Lisa Damour is a psychologist in Shaker Heights, Ohio, and the author of “Untangled: Guiding Teenage Girls Through the Seven Transitions Into Adulthood.” She writes the column “Adolescence”for the Well Family section of The New York Times.